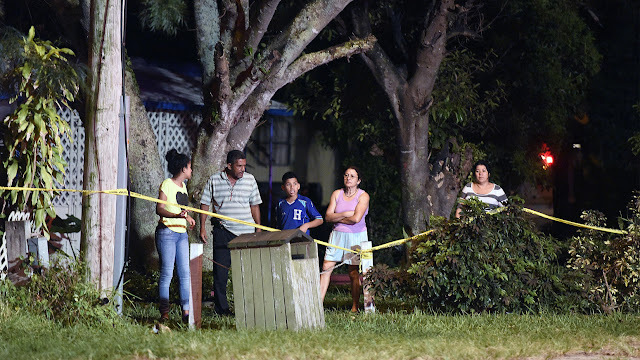 On October 13, 2015, about 1733 eastern daylight time, a Piper PA-28-180, N57312, impacted a residential area in Lake Worth, Florida, during approach to Palm Beach County Park-Lantana Airport (LNA), Lantana, Florida. The private pilot and one person on the ground were fatally injured. 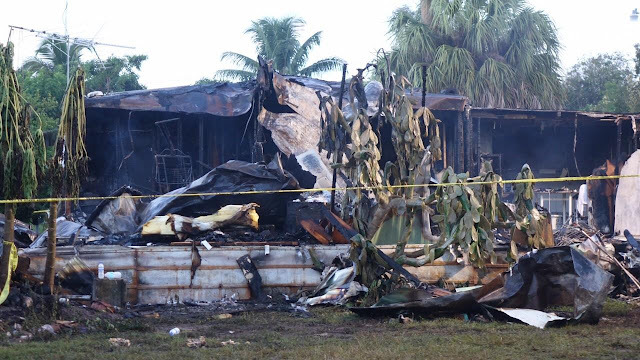 The airplane was consumed by postimpact fire and destroyed. The airplane was owned by Flyers Inc., and was being operated by a private individual as a 14 Code of Federal Regulations Part 91 personal flight. Visual meteorological conditions prevailed, and no flight plan was filed. The flight had departed Kissimmee Gateway Airport (ISM), Kissimmee, Florida, with an intended destination of LNA. Fueling records indicated that the airplane was then topped off with 20 gallons of 100-low-lead aviation gasoline before departing ISM for a flight to LNA, during which the pilot received flight-following services from air traffic control. Review of recordings of the airport's common traffic advisory frequency revealed that the pilot was 3 miles east of the airport and was going to enter the midfield left downwind leg for runway 15. The pilot then radioed that he was turning a left base leg for runway 15. No other communications were received from the pilot. Radar data provided by the Federal Aviation Administration showed a target correlated to be the accident airplane flying past the runway extended centerline and then making an S-turn before radar coverage was lost. According to FAA records, the pilot held a private pilot certificate with an airplane single-engine land rating, which was issued on May 4, 2012. He also held an FAA third-class medical certificate, issued September 23, 2015. At that time, he was 66 inches tall and weighed 180 pounds. He reported treatment for a kidney stone, a laceration repair, and hernia surgery as well as various minor ailments to the FAA. He reported the use of testosterone to treat a low testosterone level. His medical certificate was limited by a requirement to wear corrective lenses for distant vision and have glasses available for near vision. At the time of the medical examination, the pilot reported 250 hours of total flight time. The four-seat, low-wing, fixed-tricycle-gear airplane, serial number 28-7405042, was manufactured in 1973. It was powered by a Lycoming O-360, 180-horsepower engine and equipped with a two-bladed, fixed-pitch Sensenich propeller. A review of maintenance records revealed that the airplane's most recent annual inspection was completed on May 25, 2015. At that time, the airframe had accumulated 6,199 total flight hours and the engine had accumulated 1,320 flight hours since major overhaul. The 1753 recorded weather observation at West Palm Beach International Airport (PBI), West Palm Beach, Florida, located about 4.5 miles north of the accident site, included wind from 140° at 13 knots, visibility 10 miles, few clouds at 5,000 ft, scattered clouds at 25,000 ft, temperature 28° C, dew point 21° C, and altimeter 29.91 inches of Mercury. 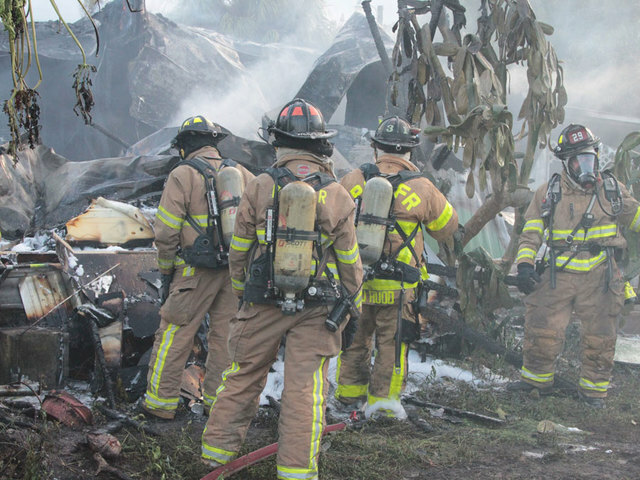 The wreckage was examined at the accident site and again at a recovery facility. No readable cockpit instruments were recovered. Aileron control continuity was established from the control chain in the cockpit via aileron cables to their respective aileron bellcranks. The aileron cables had separated and exhibited broomstraw ends, and the bellcranks had separated from the wings. Rudder control continuity was confirmed from the rudder horn to the rudder bar. Stabilator control continuity was confirmed from the "T" bar to the balance weight. The stabilator trim system was not recovered and presumed destroyed by postimpact fire. The two-bladed propeller remained attached to the engine. One blade was bent aft, was partially melted, and contained leading edge nicks, and the outboard half of the other propeller blade was consumed by fire. The top spark plugs were removed from the engine, and the propeller was rotated by hand. Camshaft and crankshaft continuity to the rear accessory section was confirmed, and valve train continuity was confirmed to the Nos. 1 and 3 cylinders through rotation of the crankshaft. Due to impact and thermal damage, valve train continuity to the Nos. 2 and 4 cylinders was confirmed by visual inspection. 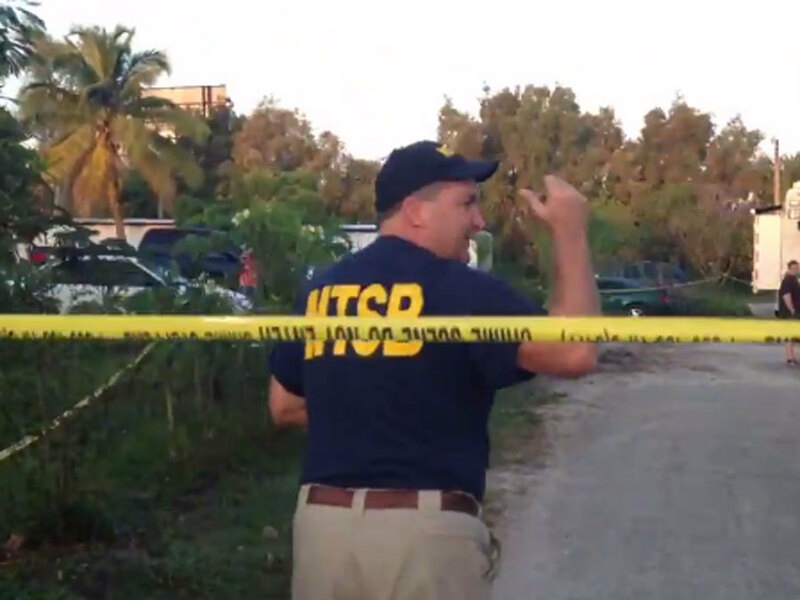 The Office of the Medical Examiner, West Palm Beach, Florida, performed an autopsy on the pilot. The autopsy findings included multiple blunt force trauma and thermal injuries. The autopsy also identified heart enlargement and wall thickening and diffuse coronary artery disease with 75 percent stenosis in the left anterior descending and right coronary arteries and 25 percent stenosis of the left main and left circumflex coronary arteries. In addition, there was mild calcification of the mitral valve leaflets. The FAA Bioaeronautical Sciences Research Laboratory, Oklahoma City, Oklahoma, performed toxicology testing on specimens from the pilot. The toxicology tests detected greater than 10% carbon monoxide in blood (heart) and greater than 2.51 (ug/ml) cyanide in blood (heart). On October 13, 2015, about 1733 eastern daylight time, a Piper PA-28-180, N57312, impacted a residential area in Lake Worth, Florida, during approach to Palm Beach County Park-Lantana Airport (LNA), Lantana, Florida. 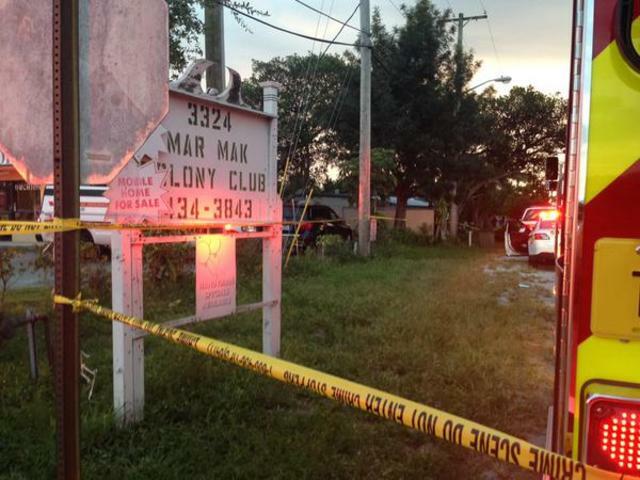 The private pilot and one person on the ground were fatally injured. The airplane was consumed by postimpact fire and destroyed. Visual meteorological conditions prevailed and no flight plan was filed for the flight that departed Kissimmee Gateway Airport, (ISM), Kissimmee, Florida, with an intended destination of LNA. The airplane was owned by Flyers Inc. and operated by a private individual as a personal flight in accordance with the provisions of Title 14 Code of Federal Regulations Part 91. 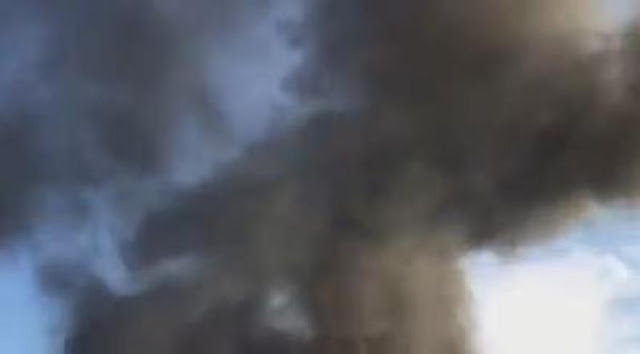 Preliminary information from the Federal Aviation Administration (FAA) revealed that the flight originated at LNA earlier during the day of the accident, and flew to ISM, where fueling records indicated that the airplane was fueled with 20 gallons of 100-low-lead aviation gasoline (top off). The flight departed ISM approximately 7 hours later for an intended landing back at LNA. The pilot received flight following from air traffic control to LNA and radioed on the common traffic advisory frequency that he was 3 miles east of the airport and going to enter a mid-field left downwind leg for runway 15. The pilot then radioed that he was turning a left base leg for runway 15 and no other communications were received from the pilot. A radar plot showed the airplane flying through the runway center line and then making an "S"-turn before radar coverage was lost. A witness observed the airplane flying overhead and watched as it made the "S"-turn, followed by a steep right 180-degree turn and descend into a mobile home park. He then saw smoke and fire where the airplane went down. 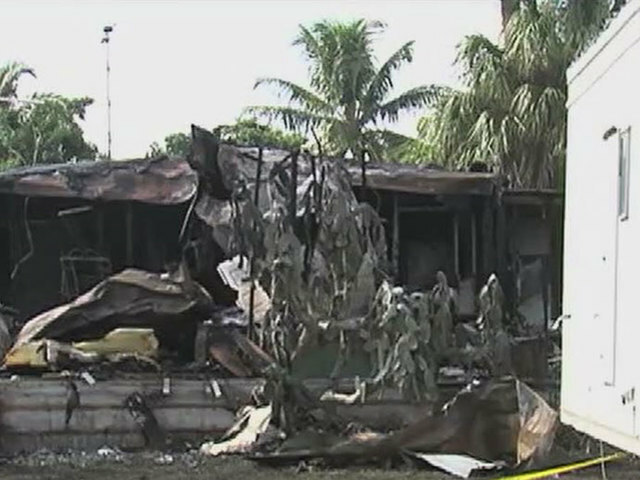 The wreckage was examined at the accident site and again at a recovery facility. No readable cockpit instruments were recovered. Aileron control continuity was established from the control chain in the cockpit, via aileron cables that were separated and exhibited broomstraw ends, to their respective aileron bellcranks, which had also separated from the wings. Rudder control continuity was confirmed from the rudder horn to the rudder bar. Stabilator control continuity was confirmed from the "T" bar to the balance weight. The stabilator trim system was not recovered and presumed destroyed by post impact fire. The two-blade propeller remained attached to the engine. One blade was bent aft, partially melted and contained leading edge nicks, while the outboard half of the other propeller blade was consumed by fire. The top spark plugs were removed from the engine and the propeller was rotated by hand. Camshaft and crankshaft continuity were confirmed to the rear accessory section and valve train continuity was confirmed to the No. 1 and No. 3 cylinders. Due to impact and thermal damage, valve train continuity to the No. 2 and No. 4 cylinders were confirmed by visual inspection. According to FAA records, the pilot held a private pilot certificate with a rating for airplane single-engine land, which was issued on May 4, 2012. He also held an FAA third-class medical certificate, issued September 23, 2015. At the time of the medical examination the pilot reported 250 total hours of flight experience. The four-seat, low-wing, fixed tricycle gear airplane, serial number 28-7405042, was manufactured in 1973. It was powered by a Lycoming O-360, 180-horsepower engine, equipped with a two-blade fixed-pitch Sensenich propeller. Review of maintenance records revealed that the airplane's most recent annual inspection was completed on May 25, 2015. At that time, the airframe had accumulated about 6,199 total hours of operation and the engine had accumulated 1,320 hours since major overhaul. The 1753 recorded weather observation at West Palm Beach International Airport (PBI), West Palm Beach, Florida, located approximately 4.5 miles north of the accident location, included wind from 140 degrees, at 13 knots, visibility 10 miles, few clouds at 5000 feet, scattered clouds at 25,000 feet, temperature 28 degrees C, dew point 21 degrees C; barometric altimeter 29.91 inches of mercury. 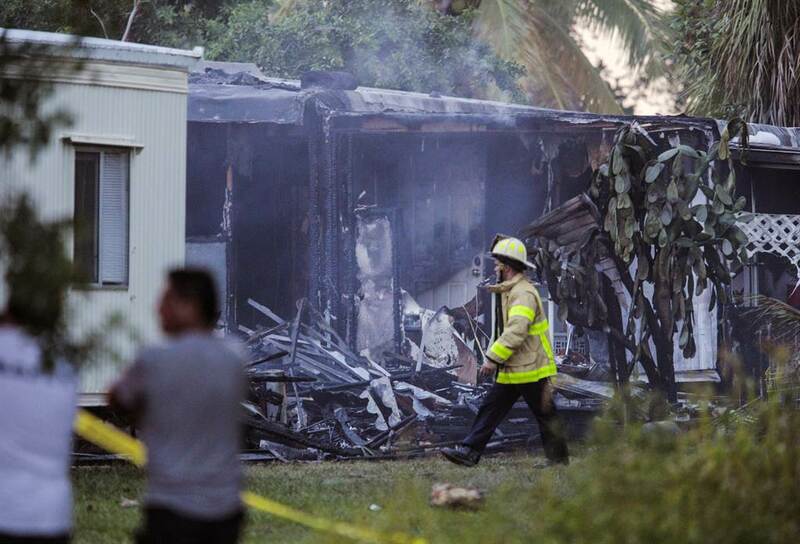 Daniel Shalloway appears to have done all the right things Tuesday until, in a span of 14 seconds, his small plane sharply veered off course, turned on its side and dropped into Banny Galicia’s mobile home west of Lake Worth, killing both himself and the 21-year-old Palm Beach State College student. What event — either mechanical or human — led to that critical moment when Shalloway’s Piper PA-28-180 Archer made its fatal turn? Investigators might never find out. Whatever clues there are likely burned up with the plane. Animated flight tracking software operated by the Boca Raton Municipal Airport — manufacturers warn it can’t be presumed 100 percent accurate, but airport officials say it’s very reliable — appears to show the plane’s final minutes. The plane first appears in the animation at 5:28 p.m. and 49 seconds near Congress Avenue, just north of Forest Hill Boulevard. It travels south toward downtown Lake Worth, then turns northwest toward Palm Beach State College. Patterns of other flights doing the same thing suggest it’s preparing to swing around and land at the Lantana airport from the northwest. 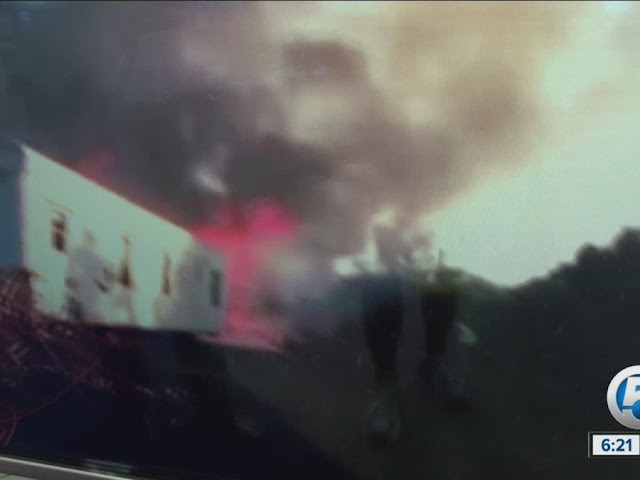 But at 5:32:53, it turns sharply to the right; just 14 seconds later the little black airplane icon comes to a stop in the animation, right at the spot where the plane went down into the mobile park. 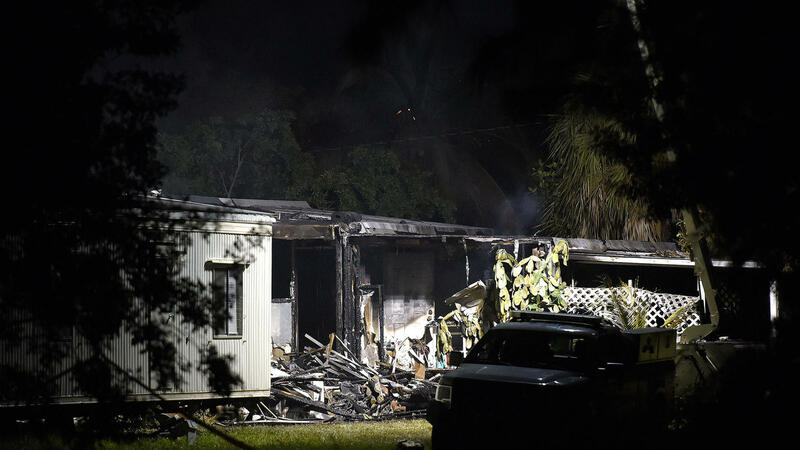 Surveillance video suggests the plane actually struck the mobile home from the west, suggesting it made some last-second turn that’s not seen in the flight tracking. “Fourteen seconds to hit the ground; something happened,” said Steven Daiagi, president of the Aero Club, a “fly-in” community in Wellington. A pilot who’s lined up on the Lantana runway, with the strip likely in sight, as Shalloway appears to have been, could glide to a landing if he ran out of gas, Daiagi said. Daiagi said neighbors were friendly with Shalloway and described him as a seasoned pilot. 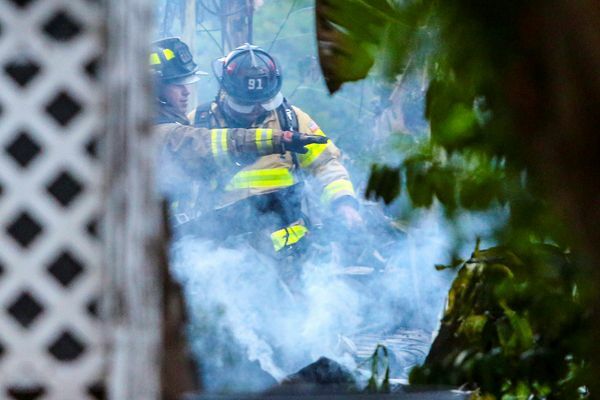 “Either something went terribly wrong with the plane and it lost power, or he (Shalloway) had a personal incident,” said Dave Freudenberg, a former Boca Raton City Council member and a small plane pilot since 1992. 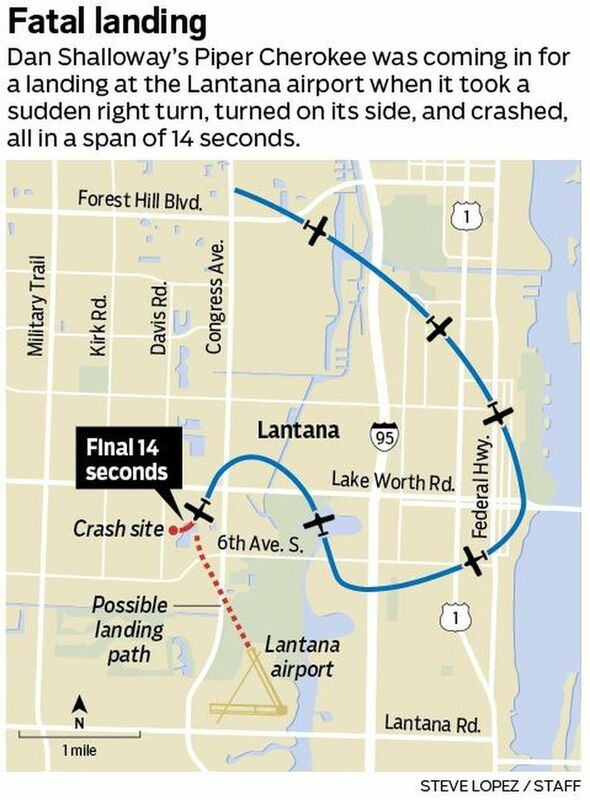 “It’s possible that there was just what they call a ‘loss of control.’ The plane suddenly did something the pilot wasn’t expecting,” said Donna Wilt, an associate professor in the College of Aeronautics at the Florida Institute of Technology in Melbourne. The college specializes in aviation. She also said the pilot could have intentionally veered off to avoid another plane or because “he suddenly had an issue and was intentionally trying to turn right and break off the landing.” And she said a bird strike can’t be ruled out. “Something happened right at that critical time,” Wilt said. Daniel Boggs, the NTSB investigator, still was at the crash site Thursday, but wouldn’t be made available, agency spokesman Terry Williams said from Washington, D.C. He also said the agency was interviewing witnesses and pulling the plane’s maintenance records. 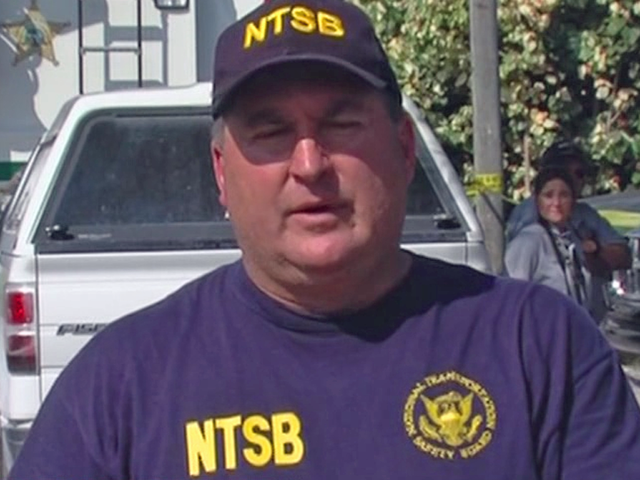 Williams stressed what the NTSB always does in such investigations: they could take months. 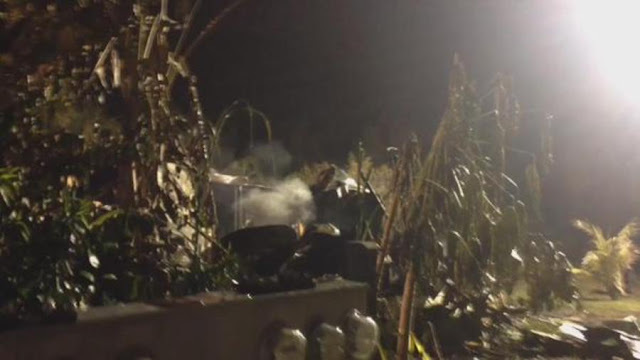 Boggs did tell reporters Wednesday at a briefing at the scene that investigators were trying to determine if Shalloway radioed air traffic controllers. 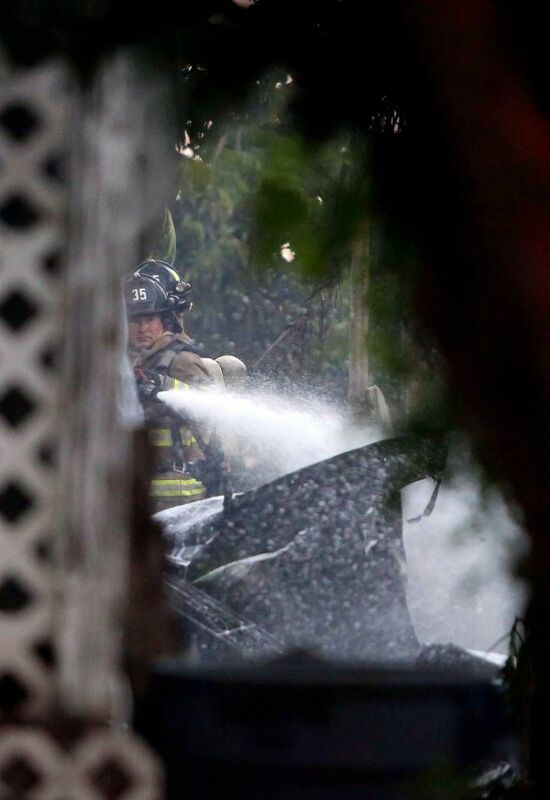 But Daiagi said he’s certain that neither the Lantana airport, nor the volume of aircraft in Palm Beach County’s air space, had anything to do with Tuesday’s disaster. 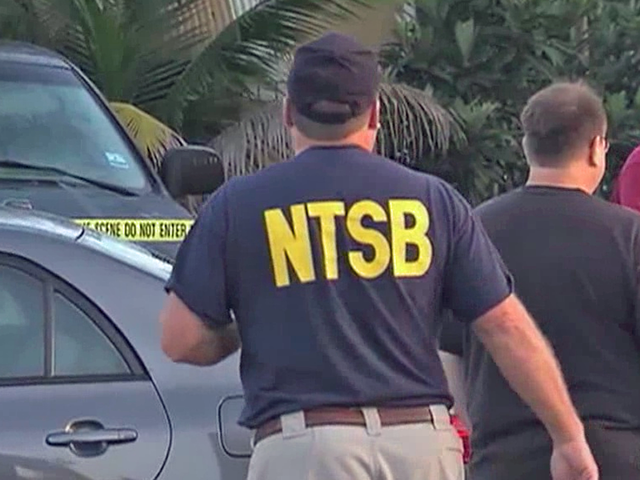 The NTSB says zero people died in 2014 in commercial flight accidents, while nearly 500 died in small planes, and in those, loss of control was the most frequent cause. “The general aviation industry has not seen the same improvements” as commercial airline operators, NTSB member Earl Weener said in a statement before a safety forum Wednesday in Washington D.C. about “loss of control” smalll plane crashes. Data analyst Mike Stucka contributed to this story. 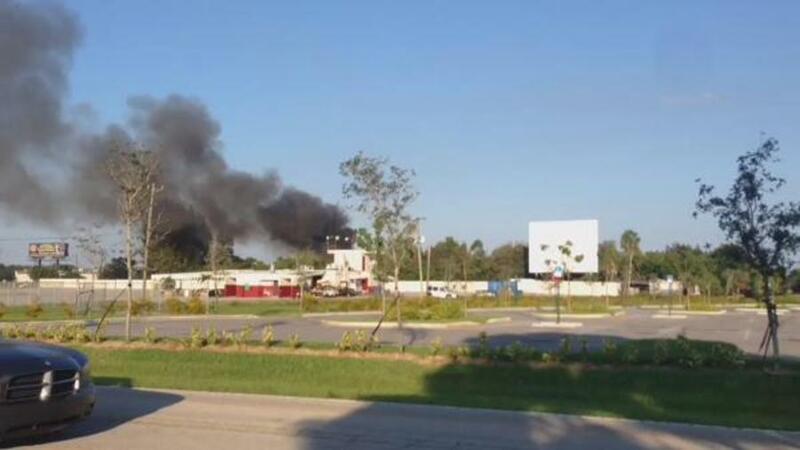 The co-founder of a Kissimmee tourist attraction died Tuesday in a South Florida plane crash, according to officials. 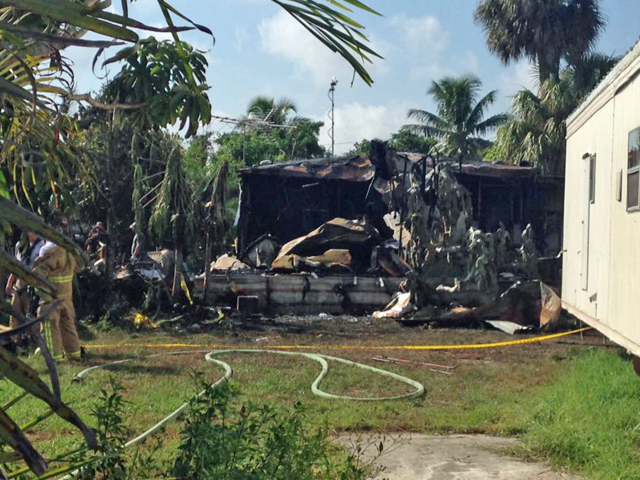 Dan Shalloway, 64, who helped open Machine Gun America last year, died when the plane he was flying crashed into a mobile home in Palm Beach County. "Everyone at Machine Gun America is deeply saddened by the tragic events of [Tuesday] that took the life of our co-founder Dan Shalloway," a statement said. "Dan loved to fly, was an engineer by trade, actively involved in politics and passionate about his community." Banny Galicia, a 21-year-old woman in the mobile home, was also killed, officials said. Spokesman Alan Byrd said Shalloway was in town for a corporate event at Machine Gun America earlier this week and was flying back to his home in Palm Beach County. 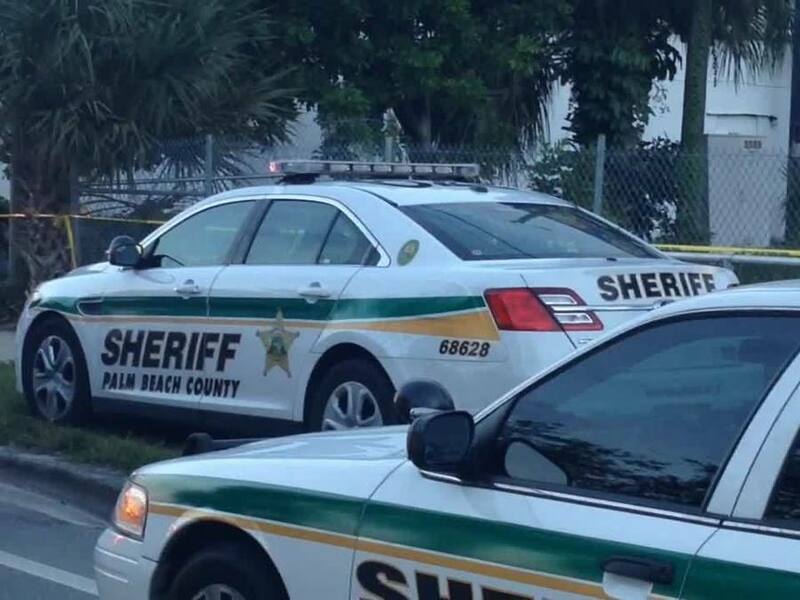 The "very experienced pilot" took off from Kissimmee Gateway Airport and was heading to the Palm Beach County Park Airport, Byrd said. 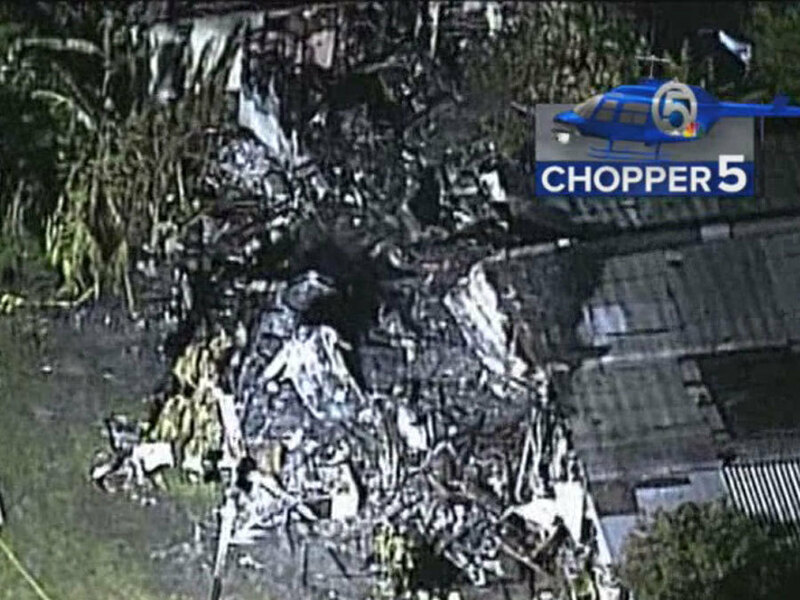 The plane was a single-engine Piper PA-28-180 owned by Flyers Inc. in Boynton Beach, according to Federal Aviation Administration records. Shalloway had a private pilot's license issued in 2012, records show. 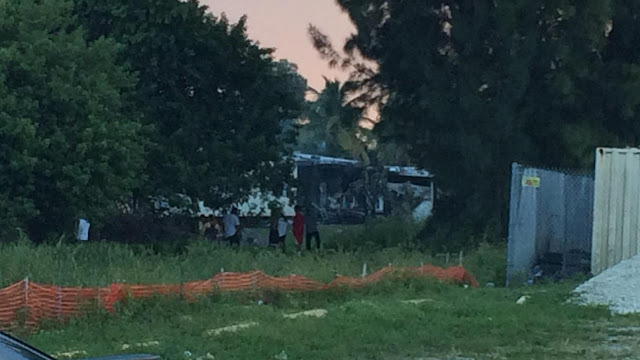 The National Transportation Safety Board is investigating the plane crash. A cause for the crash was not immediately known. According to the statement, Shalloway leaves behind a wife, Lisa; daughter, Gina; and son, Erik. 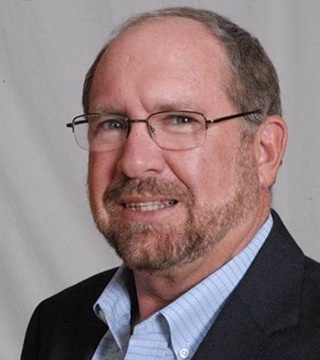 "All of us at Machine Gun America will deeply miss Dan," the statement read. Mike Erickson, owner of Canvas Designers in Riviera Beach, said he and Shalloway were friends since the 1990s. He described Shalloway as a community-oriented man who loved restoring old boats and flying planes. He found out about his friend's death Wednesday and said the news hasn't quite sunk in. Shalloway adopted his daughter from Russia, said Erickson. "When he first went to Russia and they met Gina, he just had a glow on his face," Erickson said. "He couldn't wait to bring her home. It was like he was reborn. He was just completely over himself about it, and he couldn't wait to get her back to the States." 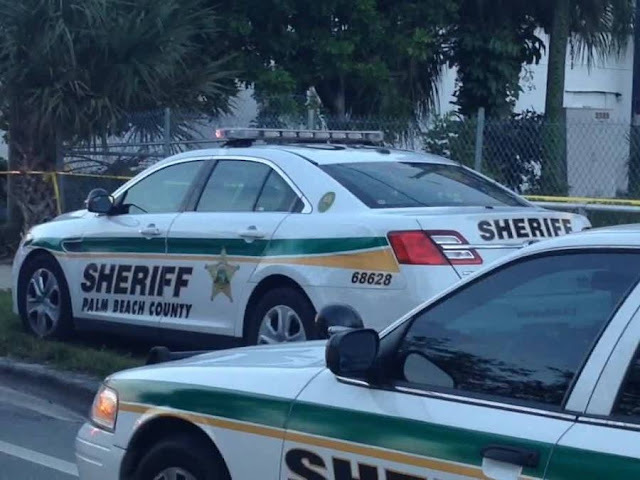 According to his online biography, he was an associate adviser at Sperry Van Ness Florida Commercial Real Estate Advisors in Boynton Beach. Shalloway was formerly a private-sector engineer who worked with Palm Beach County on water-management issues for many years. He was a founding member of Shalloway, Foy, Raman & Newell. That agency broke up after a corruption scandal in 2006 involving his former partner, ex-county Commissioner Warren Newell. Machine Gun America, on U.S. Highway 192 in Kissimmee, opened in December. Shalloway was instrumental in some of the engineering aspects of the business, according to Byrd. It has 8-inch concrete walls with reinforced steel plates for safety. "I think his impact at Machine Gun America will be felt for a long time," Byrd said. The attraction allows guests to partake in shooting exercises such as "Zombie Apocalypse" and "Automatic Divas." People as young as 13 can shoot guns, but everyone, no matter what age, must be accompanied by a gun-safety instructor. A man who answered the phone at Machine Gun America referred comment to Byrd. The attraction's co-founder, Robert Rubin, was not available for comment, Byrd said. The private pilot/owner had recently completed the experimental, amateur-built airplane and was conducting the first test flight. The pilot had completed two circuits around his private airstrip before witnesses saw the airplane approaching to land. While on final approach about 50-100 ft above the ground, the airplane suddenly descended and impacted terrain. Of the three witnesses who saw the accident, two stated that the airplane nosed over to ground contact, and one stated that the left wing dropped before the airplane nosed over. 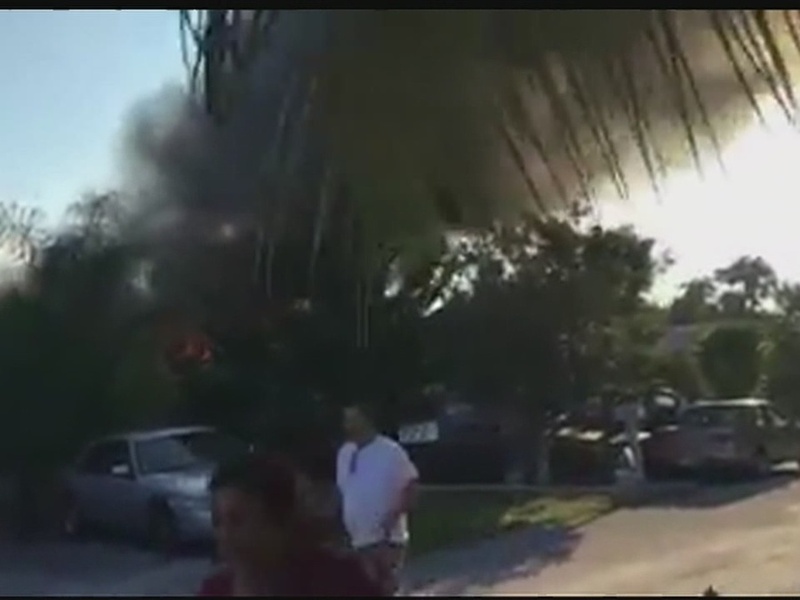 Two other individuals heard the engine “rev up” before impact but did not observe the accident. The airplane impacted terrain short of the runway in a nearly vertical, nose-down attitude and sustained extensive damage to the engine, fuselage, wings, and empennage. The tail of the airplane was twisted and bent forward over the fuselage, and there did not appear to be any forward momentum of the airplane at impact, consistent with an aerodynamic stall/spin. The witness accounts of the airplane’s nose or wing dropping were also consistent with entry into a stall/spin. Given that the accident flight was the pilot’s first flight in the airplane, he was likely unfamiliar with its flight characteristics, and, during the approach for landing, the pilot allowed the airspeed to decay. The airplane subsequently exceeded its critical angle of attack and entered an aerodynamic stall/spin. The pilot's failure to maintain sufficient airspeed during approach for landing, which resulted in an inadvertent aerodynamic stall/spin. Contributing to the accident was the pilot’s lack of flight experience in the accident airplane make and model. On October 12, 2015, at 1835 eastern daylight time, an experimental amateur-built Free Bird Classic airplane, N176FB, was destroyed while maneuvering to land at the pilot's private airstrip near Kylertown, Pennsylvania. The private pilot was fatally injured. The airplane was registered to and operated by the pilot as a 14 Code of Federal Regulations (CFR) Part 91 personal flight. Visual meteorological conditions existed near the accident site at the time of the accident, and no flight plan was filed. The flight originated from the private airstrip about 1815. The pilot's son stated that his father had recently built the airplane and this was his first flight. Several witnesses heard the airplane flying circuits around the private airstrip. One witness said the airplane was preparing to land and was about 50 ft above the ground in a level flight attitude when it suddenly nosed over. The witness did not see the impact but heard the crash and immediately responded to the site. Another witness said the airplane made two circuits around the airstrip and was coming into land. While on final approach in a level attitude, at an altitude of about 100 ft above the ground, the right wing suddenly "flipped up" about 90 degrees and the airplane descended toward the ground. The witness did not see the impact, but heard the engine rev up just before the airplane hit the ground. Other witnesses also heard the engine rev up before impact. The airplane came to rest on a road in a steep, nose-down attitude about 500 yds short of the runway. There was no post-impact fire. A review of photos taken by law enforcement shortly after the accident revealed the cockpit and fuselage were crushed, and both wings and the empennage were damaged. The empennage, including the tail control surfaces, were twisted and bent forward over the fuselage. A Federal Aviation Administration (FAA) inspector performed a postaccident examination of the wreckage. He stated that the left wing, engine, and the right wing fuel-tank had separated from the airframe and the right wing was "torn apart" which prohibited a complete examination of the flight control system. There were no flight-data recording avionics installed in the airplane. A review of the maintenance logbooks revealed that the FAA issued the airplane a special airworthiness certificate on August 27, 2015. At that time, the airplane had "0" hours. The 83-year old pilot held a private pilot certificate for airplane single-engine land and was a certified repairman, experimental-aircraft builder. A review of his logbook revealed he had a total of 682 flight hours and had completed a flight review with a flight instructor on September 16, 2015. The pilot's last FAA third-class medical certificate was issued in 2005. An autopsy was conducted by the J.C. Blair Memorial Hospital Laboratory. The cause of death was reported as blunt force trauma. The FAA's Civil Aerospace Medical Institute performed forensic toxicology testing on specimens from the pilot, and the results were negative for all items tested. Weather reported at Clearfield-Lawrence Airport (FIG), Clearfield, Pennsylvania, about 17 miles west of the accident site at 1855, was wind variable at 5 knots, visibility 10 miles, and clear skies. 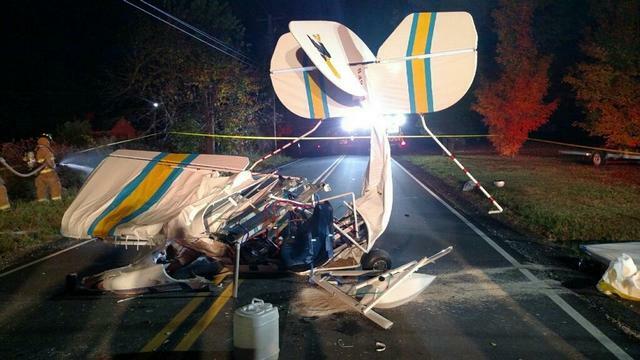 On October 12, 2015, at 1835 eastern daylight time, an amateur-built Free Bird Classic airplane, N176FB, sustained substantial damage while maneuvering over the pilot's private airstrip near Kylertown, Pennsylvania. 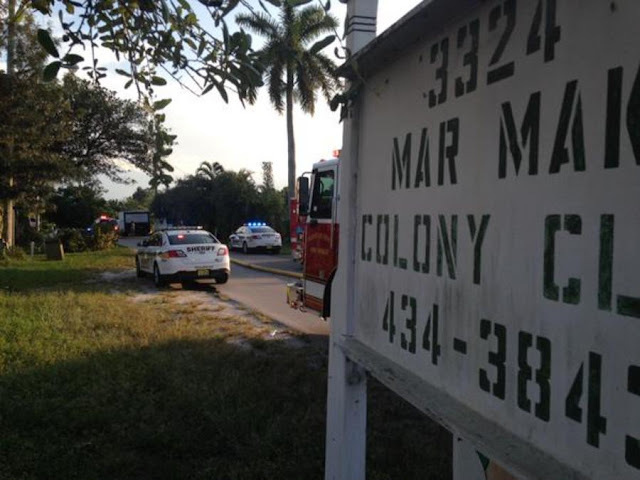 The private pilot was fatally injured. The light-sport airplane was registered to and operated by the pilot as a 14 Code of Federal Regulations Part 91 personal flight. Visual meteorological conditions existed near the accident site at the time of the accident, and no visual flight rules flight plan was filed. The flight originated from the private airstrip at an unknown time. In a statement to the Pennsylvania State Police, the pilot's son stated that his father had recently built the airplane and this was his first flight. 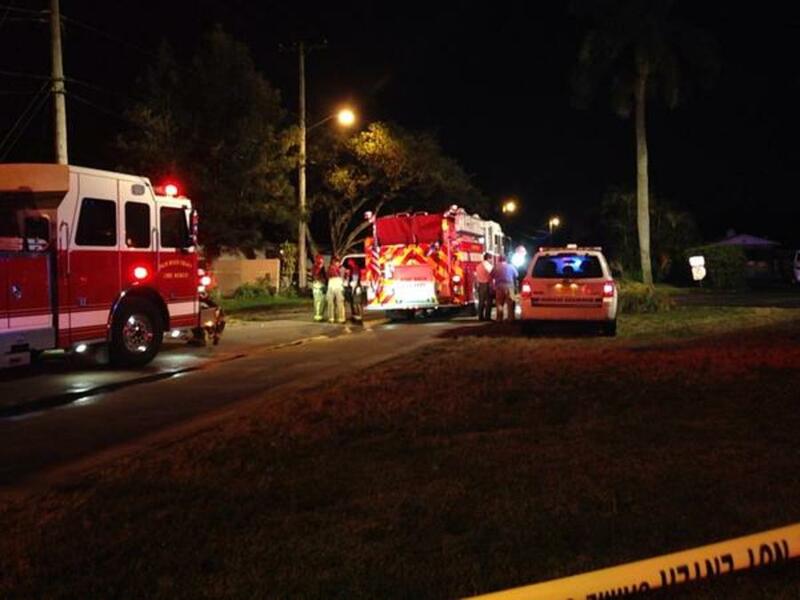 The Federal Aviation Administration (FAA) had certified the airplane about three weeks before the accident. Several witnesses heard the airplane flying in the vicinity of the private airstrip. One witness stated that he saw the airplane on its second pass over the airstrip. He said that when the airplane disappeared from view, he heard the engine rev up and then the sound of a bang. A second witness saw the airplane dip to one side before it disappeared from his view, followed by the sound of the engine revving up and then a bang. A third witness said the airplane seemed to be flying at an angle, as if there was a lot of wind pushing the tail away from the runway. The airplane impacted a road in a nose-down attitude about 500 yards short of the runway. There was no post-impact fire. Police say one man is dead after he crashed in his ultralight plane on Rolling Stone Road near Kylertown. The coroner says this plane had actually been certified just three weeks ago, but tonight, it crashed just down the street from the pilot's home, killing him. "It looked like he was going to land and then he just nose-dived and I heard the smack on the road," says neighbor Triston Kelly. Police say Blair Murray, 83, Kylertown, took his last flight around 6:30 p.m. on Monday, crashing on Rolling Stone Road not far from his private runway. "I jumped on my four-wheeler and I went down to the scene," says Kelly. "We only moved part of the wing out of the way and another gentleman checked his pulse." Kelly says he was one of a few neighbors who rushed to help, but Murray, who was seat-belted into the ultralight plane, was unconscious. "I heard a bang but I thought it was a backfire," says neighbor Richard Jones. "His landing strip was right over there going that direction, going toward the west, and he always takes off out through the pasture." Neighbors near Kylertown say Murray and his planes were a familiar sight for years. Jones says he seemed to get more into his hobby after retiring from Penelec. "He would get permission and he would give kids rides," says Jones. "Chances are it's one he built. I don't think he ever really bought a plane. ...He would get a kit, send away, from my understanding." "He was always flying. He loved to fly. Everyone knew that it was Blair when we saw a small airplane flying over," says Kelly. Now, they can't believe he's gone. "Very generous, good Christian man who would do anything for anyone," says Kelly. "Good neighbor, good Christian man, good family man," says Jones. State police cleared the scene late tonight and we're told the "Freebird Classic" plane has been taken to a secure location to be looked over by the FAA. Coroner Mike Morris says an autopsy is set for 2 p.m. on Tuesday at J.C. Blair in Huntingdon. He says Murray was pronounced dead around 7 p.m. and that Murray as a pilot had also recently been certified. KYLERTOWN, Pa. -- State Police are investigating after a deadly plane crash in Clearfield County. 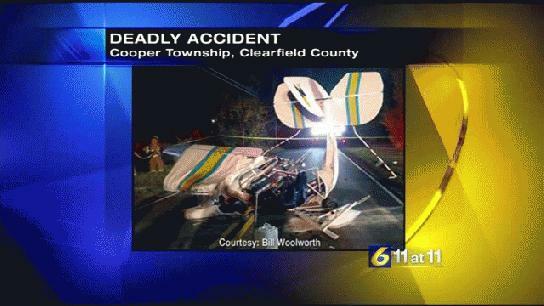 State Police say 83-year-old Blair Murray of Kylertown died Monday night when his ultralight plane crashed on Rolling Stone Road in Cooper Township. A friend of Murray's says while he will miss him, he finds comfort in knowing he died doing what he loved. "That was him. Anybody that knew Blair Murray knew this is exactly what he wanted to do. He wanted to fly airplanes," says friend, Thomas Shirey. Police say the crash happened at 6:40 p.m. Monday. Shirey heard the crash happen. "I just got home from work. I looked up and heard him flying. It was a bit of a crosswind and I don't know if that had anything to do with it but when I looked up, he was flying on an angle," says Shirey. "He flew around twice on an angle and I'm like something ain't right." Right now it's unclear why Murray crashed but police say the plane came down right on the road. It's a very rural area but several houses are nearby. Shirey says Murray's loss will be felt throughout the community. "There's not anybody in this town that would have anything bad to say about him. He's a great loss to the community but if I was him, I'd be happy going that way. He died doing what he loved to do." Police are investigating. We're told the FAA has been called as well. Clearfield County Coroner Mike Morris says Murray was an experienced pilot and there's no reason to believe the cause of the crash was pilot or aircraft error. 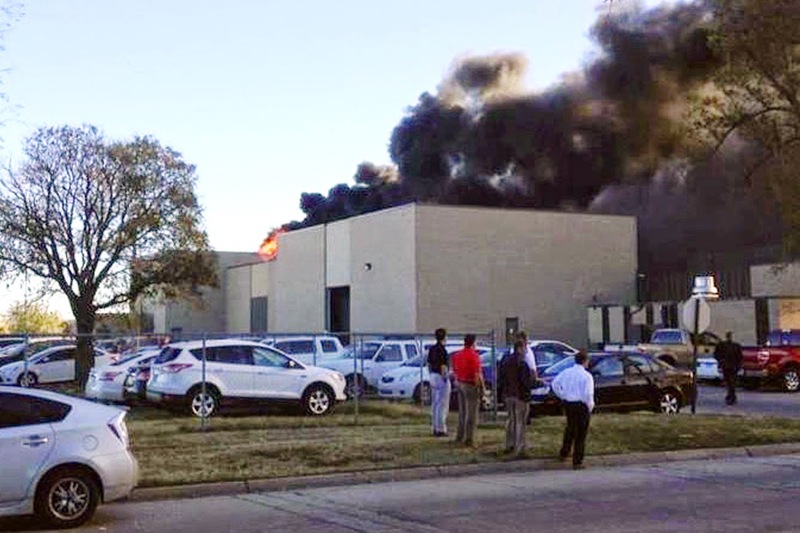 An autopsy is scheduled for Tuesday at 2 p.m.
On October 30, 2014, at 0948 central daylight time, a Raytheon Aircraft Company King Air B200 airplane, N52SZ, impacted the FlightSafety International (FSI) building located on the airport infield during initial climb from Wichita Mid-Continent Airport (ICT), Wichita, Kansas. 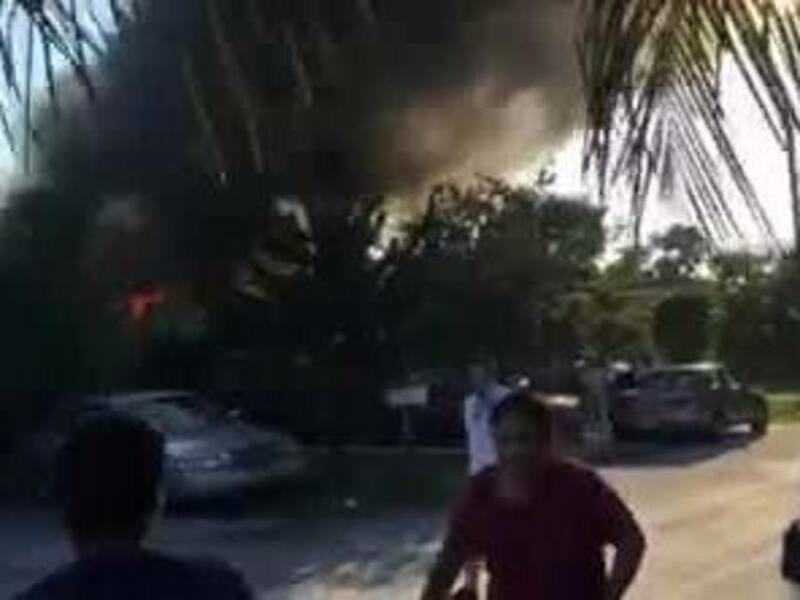 The airline transport pilot, who was the sole occupant, was fatally injured, and the airplane was destroyed. Three building occupants were fatally injured, two occupants sustained serious injuries, and four occupants sustained minor injuries. The airplane was registered to and operated by Gilleland Aviation, Inc., Georgetown, Texas, under the provisions of 14 Code of Federal Regulations Part 91 as a ferry flight. Visual meteorological conditions prevailed, and an instrument flight rules (IFR) flight plan was filed. The flight was originating from ICT at the time of the accident and was en route to Mena Intermountain Municipal Airport (MEZ), Mena, Arkansas. The ICT air traffic controllers stated that the accident flight was cleared for takeoff on runway 1R and instructed to fly the runway heading. After becoming airborne, the pilot declared an emergency and stated that the airplane "lost the left engine." The airplane then entered a shallow left turn, continued turning left, and then descended into a building. A controller called aircraft rescue and firefighting on the "crash phone" just before impact. The controllers observed flames and then black smoke coming from the accident site. Witnesses in the Cessna Service Center building on the east side of runway 1R also observed the airplane departing runway 1R. They indicated that the airplane then porpoised several times before making a left turn. The airplane continued the left turn, barely cleared the top of a hangar on the west side of runway 1R, and then descended into a building. The witnesses reported that the landing gear was extended and that they could not clearly hear the sound of the engines. 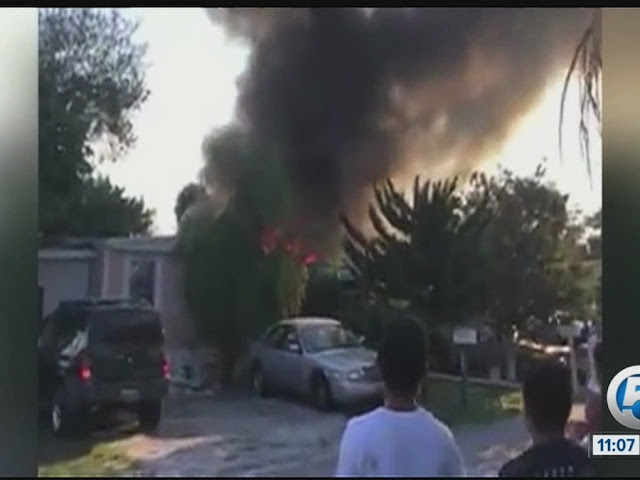 The airplane's altitude appeared to be less than 150 ft above ground level (agl). 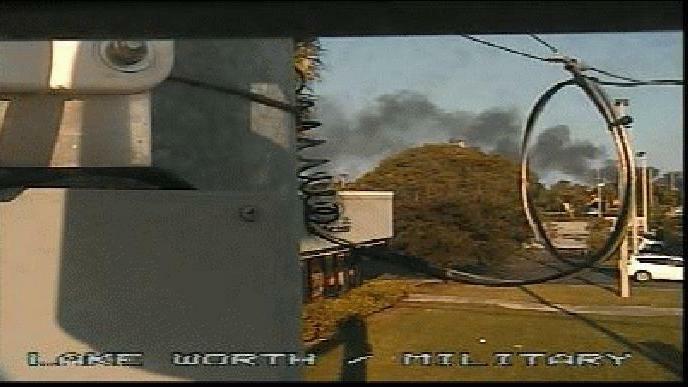 Airport surveillance video cameras captured the last 9 seconds of the flight. The videos showed that the airplane was turning left and in a nose-left sideslip as it overflew a hangar. 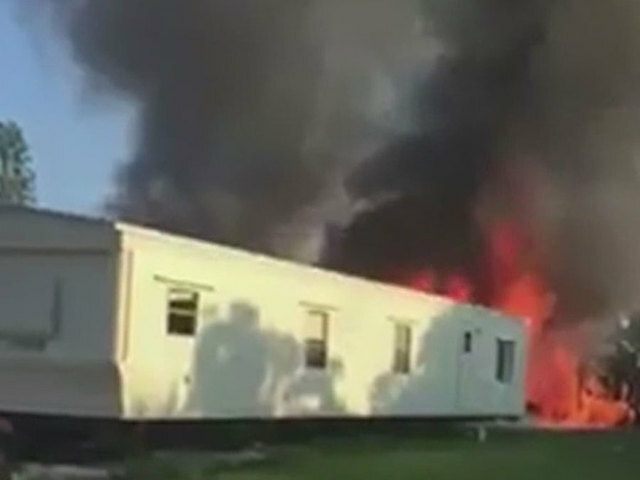 The cameras showed that the airplane was about 120 ft agl when it impacted the FSI building, and a postimpact explosion and fire ensued. The pilot, age 53, held an airline transport pilot (ATP) certificate with ratings for airplane single-engine and multiengine land. On August 4, 2014, he was issued a Federal Aviation Administration (FAA) second-class medical certificate with the limitation that he must wear corrective lenses. The pilot's flight time logbook was not located during the investigation. At the time of his August 2014 medical examination, he reported a total flight time of 3,067 hours with 200 hours in the preceding 6 months. A review of the pilot's flight training records from FSI, dated September 18, 2014, revealed that he had accumulated 3,139 total flight hours, 2,843 hours of which were in multiengine airplanes. The King Air B200 did not require a type rating. From September 4 to 19, 2014, the pilot received Beechcraft King Air 300 series initial training at FSI, Wichita, Kansas. The training was specifically for the King Air 350 Proline 21 model and included 58.5 ground training hours, 12 briefing hours, 14 pilot-flying simulator hours, and 12 pilot-not-flying hours. During the course, the pilot reviewed and completed the required emergency procedures. The pilot satisfactorily completed the course with an examination that included 2.5 hours written/oral examination time and 2.2 simulator flying hours. On September 19, 2014, the pilot was issued an FAA ATP temporary airman certificate with the following ratings and limitations: airplane multiengine land ratings for Beechcraft (BE)-300, BE-400, Cessna (CE)-525, Dassault Falcon (DA)-10, Learjet (LR)-45, LR-60, LR-JET, Mitsubishi (MU)-300 airplanes; second-in-command privileges only for BE-400, CE-525, DA-10, LR-45, LR-60, LR-JET, and MU-300 airplanes; and private pilot privileges for airplane single-engine land. The accident airplane was bought by Gilleland Aviation, Inc., Georgetown, Texas, on October 28, 2014. The King Air B200 was a six-seat, low-wing, multiengine airplane manufactured in 2000. The airplane was powered by two Pratt & Whitney PT6A-42 turboprop engines that each drove a Hartzell four-bladed, hydraulically operated, constant-speed propeller with full feathering and reversing capabilities. The propeller blade angle settings for this installation were -11.0° ± 0.5° reverse, 18.2° ± 0.1° low, and 85.8° ± 0.5° feather. On October 30, 2014, at 0740, the airplane was refueled at ICT by Signature Flight Support. The two outboard fuel tanks (usable 193-gallon capacity each) were reported to have been filled to capacity. The two auxiliary fuel tanks (usable 79-gallon capacity each) were reported to be empty. The fueling receipt noted that 57 gallons of Jet A fuel were added to the left main tank and that 53 gallons of Jet A fuel were added to the right main tank. A review of the airplane maintenance records found that major scheduled maintenance was completed at Hawker Beechcraft Services, Wichita, Kansas, on October 22, 2014. The maintenance included left and right engine hot-section inspections and an overhaul of the right propeller. At the time of the accident, the airplane had accumulated 1.4 hours and 2 cycles since it was released to service on October 22, 2014. The review found no maintenance record discrepancies that would have affected the operation or performance of the airplane. • The left throttle lever was ahead of the right by about 1/4 of the lever knob. • The cabin environmental system pressurization leak rate was high. All other systems functioned normally. The engine interturbine temperature (ITT) gauge indications were split, indicating that one of the engines was operating more efficiently than the other; however, both engines were able to achieve maximum power per the pilot's operating handbook (POH) performance charts with no temperature ITT exceedance. Maintenance was performed to address the throttle matching and cabin environmental system discrepancies, and a second maintenance test flight was conducted on October 27, 2014. During the flight, it was noted that the throttle lever mismatch was corrected. The environmental system bleed air valves (flow packs) pressurization leak rates were acceptable, although one was weaker than the other when tested independently. No other anomalies were noted. Following the flight, maintenance personnel confirmed that the left flow pack output was higher than the right. Both sides of the system passed maintenance manual and ground operational checks. To better understand these findings, the airplane owner agreed that the left and right environmental system flow packs, electronic controllers, and thermistors should be swapped. The airplane was equipped with a rudder boost system to aid the pilot in maintaining directional control in the event of an engine failure or a large variation of power between the engines. The rudder cable system incorporated two pneumatic rudder-boosting servos that would actuate the cables to provide rudder pressure to help compensate for asymmetrical thrust. During operation, a differential pressure valve would accept bleed air pressure from each engine. When the pressure varied between the bleed air systems, the shuttle in the differential pressure valve would move toward the low pressure side. As the pressure differential reached a preset tolerance, a switch on the low pressure side would close, activating the rudder boost system. The system was designed only to help compensate for asymmetrical thrust; the pilot was to accomplish appropriate trimming. The system was controlled by a toggle switch, placarded "RUDDER BOOST – OFF" and located on the pedestal below the rudder trim wheel. The switch was to be turned on before flight. A preflight check of the system could be performed during the run-up by retarding the power on one engine to idle and advancing power on the opposite engine until the power difference between the engines was great enough to close the switch that activates the rudder boost system. Movement of the appropriate rudder pedal (left engine idling, right rudder pedal would move forward) would be noted when the switch closed, indicating that the system was functioning properly for low engine power on that side. The check was to be repeated with opposite power settings to check for movement of the opposite rudder pedal. Moving either or both of the bleed air valve switches in the copilot's subpanel to the "INSTR & ENVIR OFF" position would disengage the rudder boost system. The airplane was equipped with an autofeathering system that provided a means of automatically feathering the propeller in the event of an engine failure. The system was armed using a switch on the pilot's subpanel placarded "AUTOFEATHER – ARM – OFF – TEST." With the switch in the "ARM" position and both power levers above about 90 percent N1, the green L and R AUTOFEATHER annunciators located on the caution/advisory panel would illuminate, indicating that the system was armed. If either power lever was not above about 90 percent N1, the system would be disarmed, and neither annunciator would be illuminated. When the system was armed and the torque on a failing engine dropped below about 410 ft-lbs, the operative engine's autofeather system would be disarmed. When the torque on the failing engine dropped below about 260 ft-lbs, the oil was dumped from the servo, and the feathering spring and counterweights feathered the propeller. For King Air B200 airplanes equipped with Hartzell propellers, the propeller autofeather system must be operable for all flights and be armed for takeoff, climb, approach, and landing. A preflight system test, as described in the King Air POH, Section IV, "NORMAL PROCEDURES," was required. Since an engine would not actually be shut down during a test, the AUTOFEATHER annunciator for the engine being tested would cycle on and off as the torque oscillated above and below the 260 ft-lbs setting. Note: If the autofeather system…is being used, do not retard the failed engine power lever until the autofeather system has completely stopped the propeller rotation. To do so will deactivate the autofeather circuit and prevent automatic feathering. At 0953, the automated weather observation at ICT reported wind from 350 degrees and 16 knots, visibility of 10 miles, a few clouds at 15,000 ft, temperature 59° F, dew point 37° F, and altimeter setting 30.12 inches of Mercury. The following is a chronological summary of the communications between the accident pilot and the ICT air traffic controllers. 0938 The pilot requested an IFR clearance to MEZ. Clearance Delivery read the clearance to the pilot, and the pilot read back the clearance correctly. 0940 The pilot requested taxi clearance with the automatic terminal information service (ATIS). Ground Control issued a taxi clearance to runway 1R at Echo 3 intersection via taxiways Alpha 5, Alpha, Bravo, Echo. The pilot read back the instructions correctly. 0941 Ground Control reverified that the accident pilot had ATIS Hotel. 0942 The pilot advised he had to perform a quick run-up and asked Ground Control for a location to complete the run-up. Ground Control advised him to proceed to the end of the taxiway or to the Echo 3 intersection. 0947 The pilot requested and was cleared for takeoff by Local Control on runway heading. The pilot read back the instructions correctly. 0948 The pilot declared an emergency and advised that he "lost the left engine." The airplane was equipped with a Fairchild Model A100S cockpit voice recorder (CVR). The unit was removed from the wreckage and sent to the National Transportation Safety Board (NTSB) Vehicle Recorder Laboratory for download. A timeline generated from the CVR recording determined that the time duration from liftoff to building impact was about 26 seconds. The airplane was equipped with a Sandel ST3400 terrain awareness and warning system and radio magnetic indicator unit. 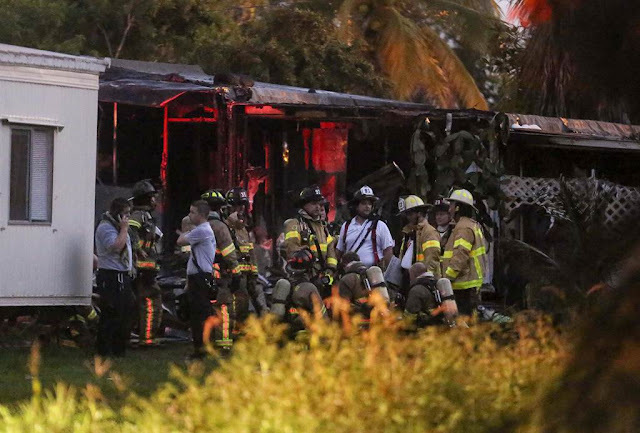 This unit was retained and examined by the NTSB Vehicle Recorder Laboratory. The examination revealed that the unit sustained severe thermal damage and that the nonvolatile memory contents were destroyed; therefore, no data were available for recovery. The accident site was located at latitude 37° 39.592 N, longitude 97° 25.490 W, at an elevation of 1,363 ft mean sea level. 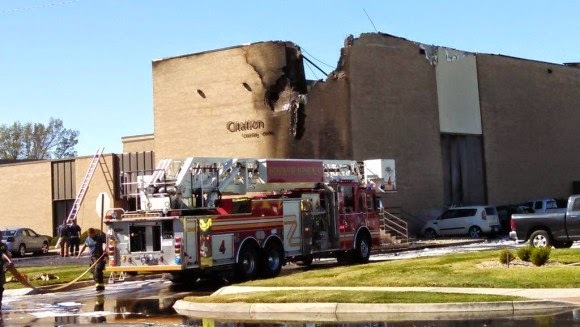 The airplane struck the northeast corner of the FSI building, which housed several flight simulators. A large simulator room on the north end was the point of impact and sustained most of the structural and fire damage. The simulator room was about two stories high, about 198 ft long (east-west), and about 42 ft deep (north-south). Most of the airplane wreckage was distributed from the northeast corner toward the southwest corner of the room and remained on the roof of the simulator room and the attached buildings. A postimpact fired ensued and consumed a majority of the airplane. The left engine, propeller, and left main landing gear were found just inside the building on the ground level. A majority of the left outboard wing, flap, and aileron were found at the foot of the building's exterior east wall. The fuselage, tail section, cockpit, right engine, and right main landing gear were located on the conjoined buildings' rooftops. The cockpit, instrument panels, right engine, and right landing gear strut were located about 160 ft from the initial impact point to the south on the roof of the simulator room. The right engine and propeller came to rest next to the cockpit. The cabin area of the fuselage and empennage came to rest inverted on the lower, west roof. 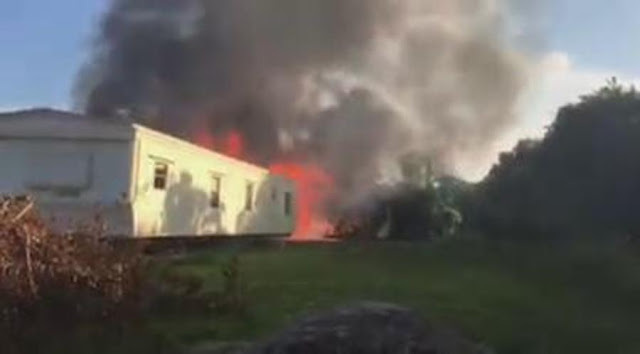 The cabin area was mostly consumed by the postimpact fire. Portions of the wing center section and all of the tail section were located to the south on the lower roof of the conjoined building. The right wing had separated and came to rest on the roof of another attached building about 120 ft from the initial impact point. A separated portion of a propeller blade was found near the right wing. A separated propeller blade tip was found in a parking lot about 200 ft northeast from the initial impact point. The tail section sustained severe thermal damage, but remained recognizable. The horizontal stabilizers remained attached to the vertical stabilizer with the elevators attached. The elevator trim tabs remained attached to their respective elevator. The vertical stabilizer remained attached to the aft fuselage with the rudder attached. The rudder trim tab remained attached to the rudder. The left main landing gear was found extended with the down-lock latched into place. The structure of the right main landing gear was not intact. The strut, wheel, and tire of the nose gear assembly were found in the parking lot on the north side of the building. Witness and video evidence, which is discussed in the "ADDITIONAL INFORMATION" section of this report, confirmed that the landing gear were extended before impact. One of the four rudder cables in the tail section had the ball swage fitting still attached. The other three cables (one rudder and two elevators) were separated with rusty coloration at the separation point. The three cables were stiff 3 to 9 inches from the fracture surface, consistent with high-temperature oxidation and separation. The rest of the three cables remained flexible, which was typical of a control cable. Rudder flight control continuity was established from the rudder to the flight control cables. One cable terminated at the aft fuselage in a thermal separation, and the other cable terminated at a more forward position at a cable end. Down elevator control continuity was confirmed from the elevator surface to the aft fuselage. The up elevator aft bell crank segment was separated with the flight control cable attached. Both cables terminated at the aft fuselage in thermal separations. A secondary examination of the flight control systems was conducted at a secure storage facility. The primary and secondary flight control cables were all accounted for from the cockpit to each respective flight control surface with cable separations that exhibited signatures consistent with thermal separation, tensile overload, and/or being cut during recovery. The only flap actuator observed was the outboard left flap actuator, and the position equated to about 10° extended. A secondary examination of the flap switch handle determined that it was in the UP detent. The flaps had three positions: UP, APPROACH, and DOWN. UP was 0°, APPROACH was 14° (+ or - 1°), and DOWN was 35° (+1°/-2°). According to the POH, the flaps could be set to UP or APPROACH during takeoff. Any of the three flap positions could be selected by moving the flap switch handle up or down to the selected position indicated on the pedestal. The flaps could not be stopped in between any of the three positions. The rudder trim actuator position equated to greater than 15° tab trailing edge left (rudder right, nose right). The left and right elevator trim actuator positions equated to 0° trim. The right aileron trim actuator position equated to about 9° tab trailing edge up (right wing up). The rudder boost system, autofeathering system, and their respective cockpit controls were mostly consumed by the postimpact fire. Due to the extensive thermal damage, an examination of the systems could not be accomplished. The engines and propellers were relocated to a secure hangar where airframe components were removed, and the propellers were separated from the engines. Engine teardown examinations were performed from November 3 to 5, 2014, at a Pratt & Whitney service center. Although the engine inlet housings, gearbox cases, and the accessory housings and tubing were severely fire-damaged, the core engines were intact and could be fully evaluated. No evidence of preimpact failure was found. Both engine compressors exhibited impact damage characteristic of foreign object damage. Both engines' gas producer and power turbine rotor gas path components displayed circumferential friction, rub, and scoring damage characteristic of damage that occurs when normal operating clearances between rotating and stationary components are momentarily lost as the engine experiences abnormal axial and radial loading during an impact sequence. The left engine power turbine shaft was separated torsionally, consistent with the sudden stoppage of the propeller (blade strike) while the power turbine shaft continued to rotate. The left engine fuel pump and fuel control housings were thermally destroyed; examination of the remaining (steel) engine fuel system and propeller governor system components and tubing connections recovered from the debris revealed no anomalies. The extensive thermal damage prevented full assessment of the fuel metering system, including the fuel control units and compressor discharge pressure lines (P3) to both engines. The left engine propeller governor and propeller overspeed governor were examined and tested at Woodward, Inc., Rockford, Illinois, with no preimpact anomalies noted. The propellers were examined in Wichita from November 1 to 3, 2014, and again at Hartzell Propellers, Inc., Piqua, Ohio, on September 9 and 10, 2015. Fracture features and dimensions of the recovered propeller blade segments identified them as the missing outboard sections of two consecutive left propeller blades. Both blades were separated chordwise and exhibited leading edge tearing signatures. The left propeller blade damage also included other leading edge dents and tearing, aft bending, and moderate twisting. All of the propeller damage was consistent with impact loading or postimpact fire. The right propeller blades were thermally consumed. All eight of the propeller preload plates displayed witness marks consistent with abnormal loading (blade strike). Although witness marks can reflect impact blade angles from later stages of the impact sequence, carefully analyzed preload plate witness marks can be a relatively reliable indication of the preimpact blade angle for this propeller design. The angular positions of the witness marks were used to approximate blade position at the time each impact occurred. The preload plate witness marks of the respective propellers indicated that the left propeller was likely at a 17° blade angle upon initial impact, and the right propeller was likely at a 22.5° blade angle upon initial impact. Engine performance calculations using the derived blade angles and sound spectrum analysis-based findings (see the "CVR Sound Spectrum Analysis" section of this report) indicated that the left engine was likely operating but producing low to moderate power when the airplane struck the building and that the right engine was operating normally and producing moderate to high power when the airplane struck the building. 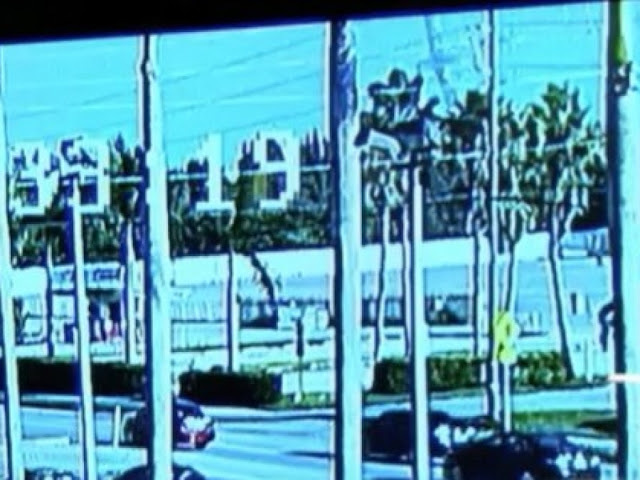 Airport surveillance videos, which captured the last 9 seconds of the flight, including an image of the airplane within 1 second of impact, was used to estimate the airplane's trajectory and speed. The estimations indicated that the airplane's groundspeed increased from 85 to 92 knots and that the descent rate increased from about 0 to 1,600 ft per minute just before impact. The airplane's altitude reached a maximum of about 120 ft agl before it descended into the building. The NTSB conducted a sideslip thrust and rudder study based on information from the surveillance videos. This study evaluated the relationships between the airplane's sideslip angle, thrust differential, and rudder deflection. Calculations made using multiple rudder deflection angles showed that full right rudder deflection would have resulted in a sideslip angle near 0°, a neutral rudder would have resulted in an airplane sideslip angle between 14° and 19°, and a full left rudder deflection would have resulted in an airplane sideslip angle between 28° and 35° airplane nose left. Calculation of the airplane's sideslip angle as captured in the image of the airplane during the last second of flight showed that the airplane had a 29° nose-left sideslip, which would have required the application of a substantial left rudder input. A sound spectrum analysis was completed using harmonic signatures recorded on the CVR from the cockpit area microphone and an unconnected microphone jack. A graph of the harmonic signatures from the cockpit area microphone show signatures that likely represent the propeller blade tip sounds and propeller rpm diverging, consistent with one propeller rpm decreasing. A graph of harmonic signatures from the unconnected microphone jack revealed electrical noise signatures generated from the engines. At the beginning of the graph, these signatures (two for each engine) increased, corresponding to increasing engine rpm. Later, two of the signatures began to decrease, consistent with one engine's rpm decreasing. Many stations in small-and mid-sized markets can step up their game when national news breaks in their backyard. When a gunman opened fire Oct. 1 in a classroom at Umpqua Community College in Roseburg, Ore., KVAL had only two reporters in the rural town. ABC affiliate KEZI had just one. The vast majority of staff and resources for the two Eugene stations, as well as others in the closest TV market (DMA No. 120), were 72 miles north. They sent staff to the hospital and blood bank in addition to the school, while reporters on their own had TVU backpacks and sent content back. 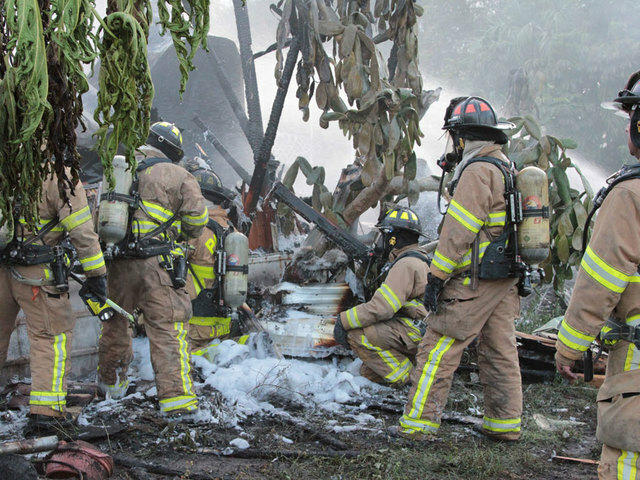 The stations dealt with rumors and national media requests, not to mention the aftermath of a tragedy in their backyard, but they nonetheless produced wall-to-wall coverage. During a breaking news story, small-market stations may not have 100 producers on scene or dozens of satellite trucks, said Mike Boring, KEZI Eugene general manager, but they do have teams that are family-oriented. 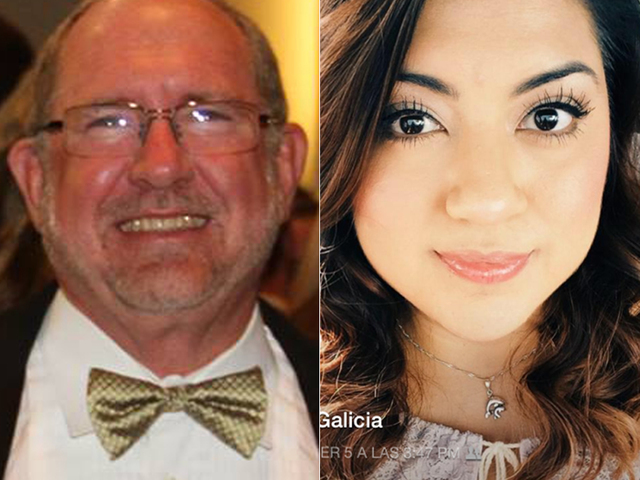 People go the extra mile, whether it be sales people bringing lunch to the newsroom and making calls or the morning anchor who was still reporting late in the evening Oct. 1 despite a 5 a.m. broadcast that morning and another one the next morning. “We bring excellence every day and execute as if we were on the national stage every day,” Boring said. He added that the Heartland Media-owned station’s goal is to always be ingrained in the fabric of the community. They know the feeling at KWCH in Wichita, Kansas (DMA No. 65). The station won a 2015 Edward R. Murrow Award earlier this year for its breaking news coverage of a plane crash last October. Down several crews covering the World Series in Kansas City and located farther away from the airport than the other station, the Schurz-owned CBS affiliate initially scrambled a bit and had to use the tower cam for early footage. 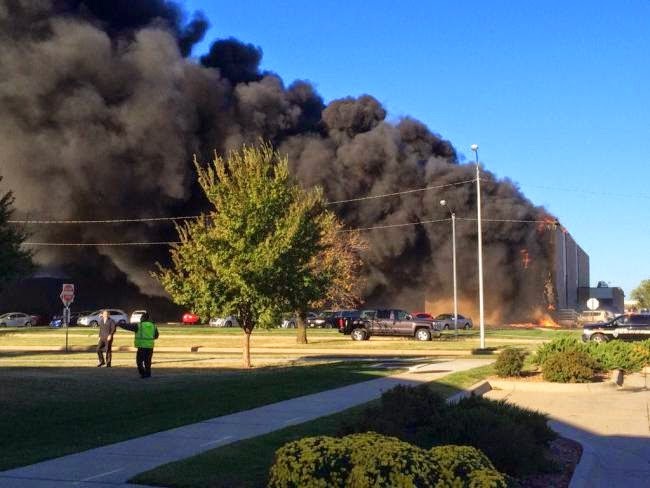 WICHITA, Kansas -- Four people have died after a plane crashed into a building near Mid-Continent airport. 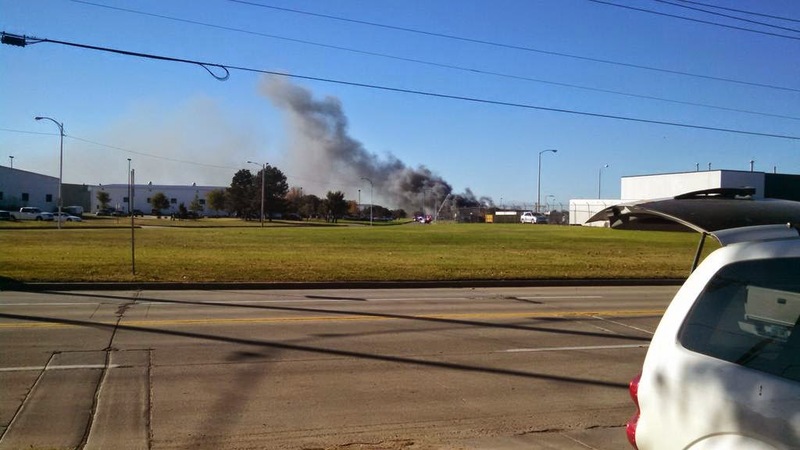 Emergency crews were called to the scene at the FlightSafety Building, 1851 Airport Road, around 9:45 a.m. Thursday, October 30, 2014. 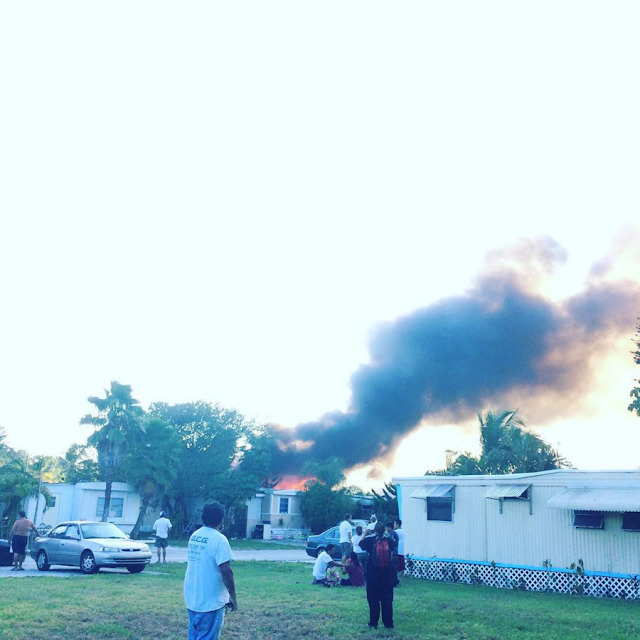 Witnesses called 911 after seeing smoke in the area. Pictures sent in to Eyewitness News appear smoke and flames were showing from a building in the area. The FAA released a statement saying the pilot of a Beechcraft B200 Super King Air reported losing engine power just after takeoff from Wichita Mid-Continent Airport. Radio traffic between air traffic control and the flight indicates the plane lost the left engine, and was returning to the airport before the crash. 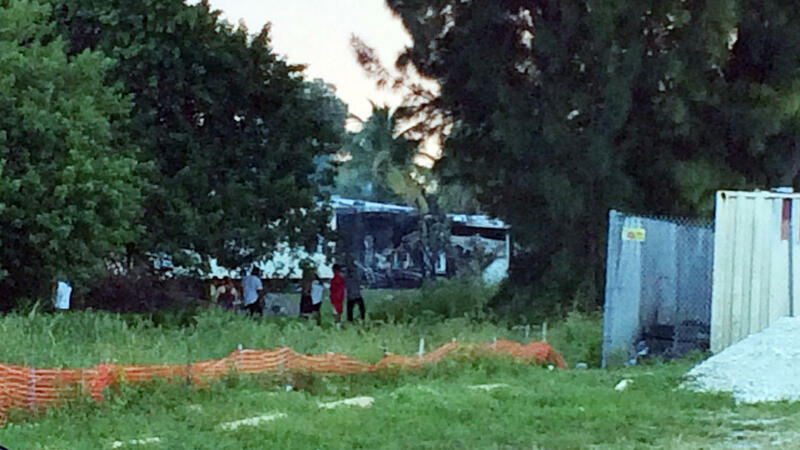 The plane crashed into the building on airport road while attempting to return to the runway. The plane was en route to Mena, Ark. The pilot, one of the four fatalities, has been identified at 53-year-old Mark Goldstein. He was a former air traffic controller. Three other people inside the north end of the building were also killed in the crash, Fire Chief Ron Blackwell said. Five people were taken to a Wichita hospital for treatment. One is listed in serious condition, and four others were treated and released. 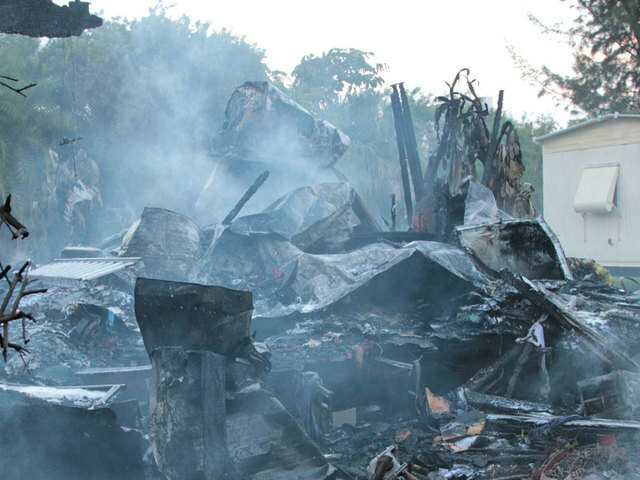 The four deceased were the four originally unaccounted for. 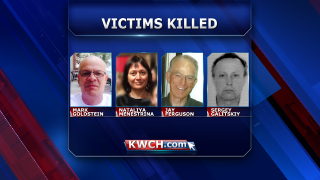 City of Wichita officials have confirmed three of the victims are from the Wichita area and one is from another country. Three were found inside a flight simulator and one - presumed to be the pilot - was found on the roof. The names and ages of the victims have not been released. 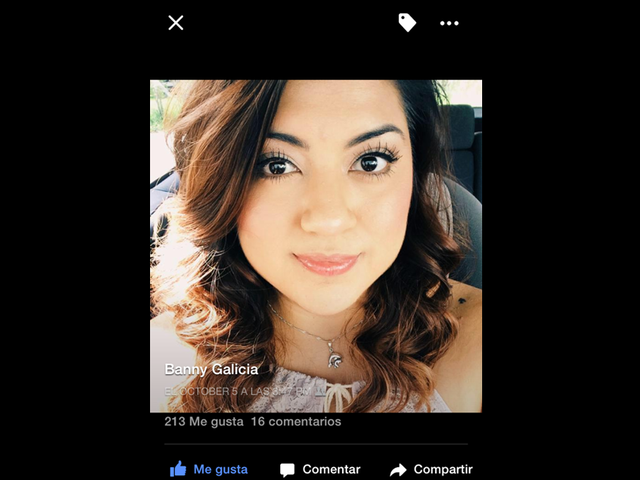 Investigators are still working to notify the family members of the victims. 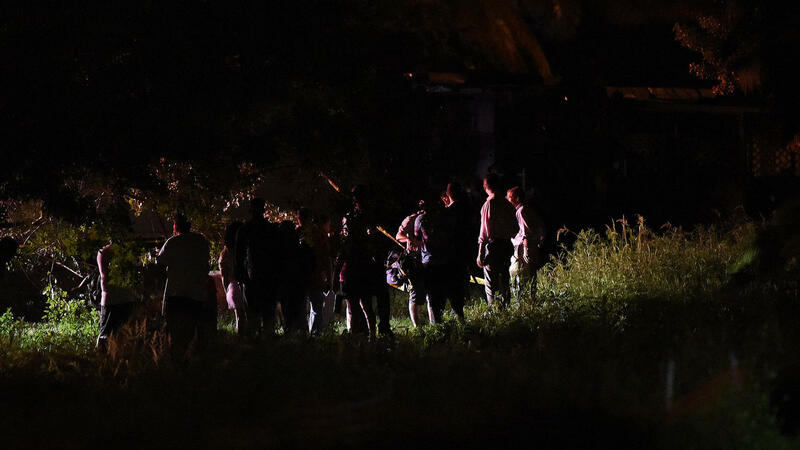 Wichita Police want anyone who believes their family members are involved in this morning's plane crash to meet with authorities at 1951 S. Airport Rd. Family members can also call 316-946-4710 for more information. 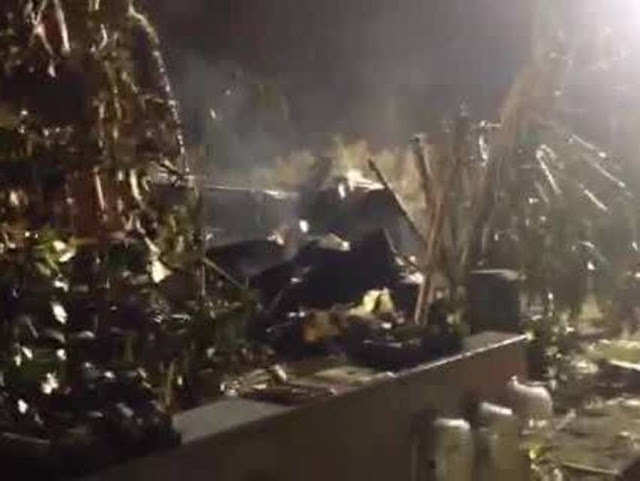 Fire Marshal Brad Crisp said crews have cleared three of the four flight simulator rooms. The final room is not stable enough for crews to enter the area. Blackwell said there were about 100 people inside the building at the time. 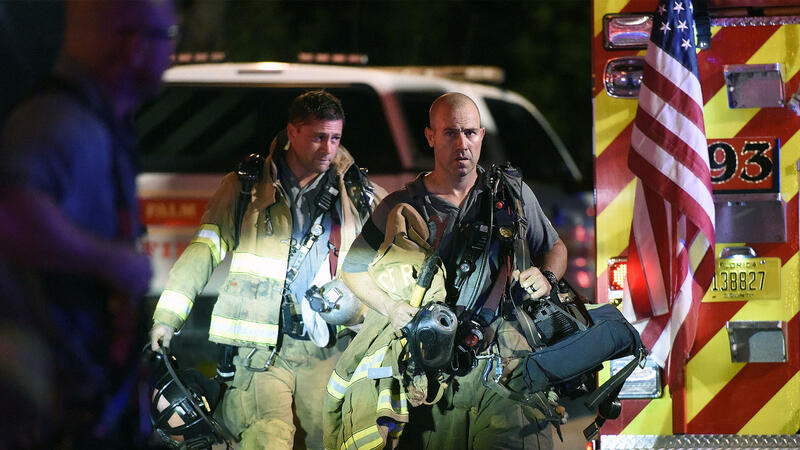 Firefighters had to evacuate the building because of deteriorating conditions. The building sustained serious damage, and the roof and walls collapsed. No firefighters have been injured. Blackwell said it is believed bodies are still inside the building. "There are portions of the aircraft on the roof and on the ground," Blackwell said. Deputy Chief John Speer said this is not an intentional event. "We feel confident calling this an aviation accident," Speer said. The FlightSafety facility supports training activities and houses flight safety instructors, simulator operators, staff and clients. 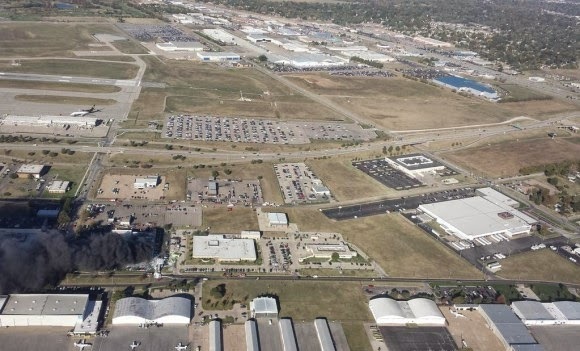 The aviation training company released a statement on its website saying, "All of us at FlightSafety International are greatly saddened by the tragic accident that occurred at Wichita Mid Continent Airport impacting our Cessna Learning Center. We are continuing to work with authorities to assist them in their investigation and to ensure the safety and wellbeing of our Clients & Teammates. No further details are available at this time." Responding agencies included the Wichita Fire Department, Wichita Police Department, Mid-Continent Public Safety Department, Sedgwick County Sheriff's Office, Kansas Highway Patrol and the FBI. 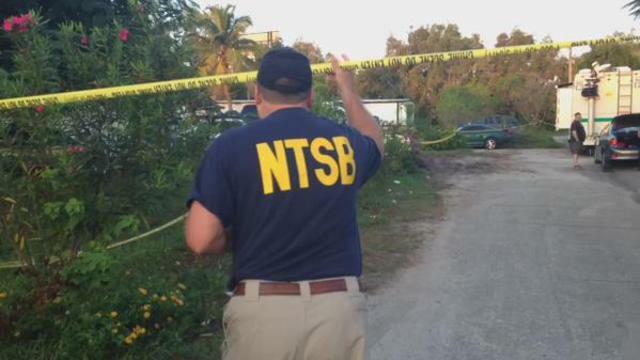 FAA investigators and the National Transportation Safety Board is at the scene. Injuries: 4 Fatal,2 Serious,4 Minor. 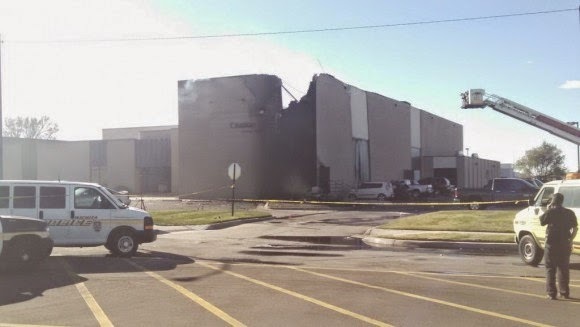 On October 30, 2014, at 0948 central daylight time, a Raytheon Aircraft Company King Air B200, N52SZ, impacted the Flight Safety International (FSI) building located on the airport after departure from the Wichita Mid-Continent Airport (KICT), Wichita, Kansas. 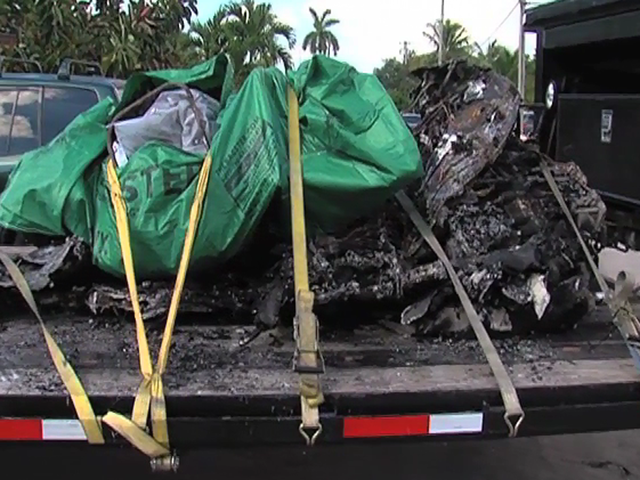 The pilot, who was the sole occupant, was fatally injured and the airplane was destroyed. Three building occupants were fatally injured, 2 occupants sustained serious injuries and four occupants sustained minor injuries. The airplane was registered to and operated by Gilleland Aviation, Inc., Georgetown, Texas, under the provisions of 14 Code of Federal Regulations Part 91 as a business flight. Visual meteorological conditions prevailed and an instrument flight rules (IFR) flight plan was filed. The flight originated at 0947 and was en route to the Mena Intermountain Municipal Airport (KMEZ), Mena, Arkansas. According to the air traffic control (ATC) recordings, at 0947:06, the airplane departed runway 1R and was instructed by the controller to fly runway heading. At 0948:17, the pilot declared an emergency and stated that he "lost the left engine." According to witnesses on the ground, after the airplane departed runway 1R, a left turn was initiated and the airplane's altitude was estimated less than 150 feet above the ground. One witness observed the airplane shortly after it became airborne and heard a reduction in power on one engine before it entered the left turn. Another witness saw the airplane from about 20 yards away. He said the airplane was in a left turn and approached the hangars east of FSI, then the wings were level as it flew west toward FSI. The airplane's landing gear were "down and locked", the flaps were extended, the rudder was neutral, and the right engine was at full power. The witness did not see the left engine. The airplane then disappeared from his view and he heard the sound of an impact. 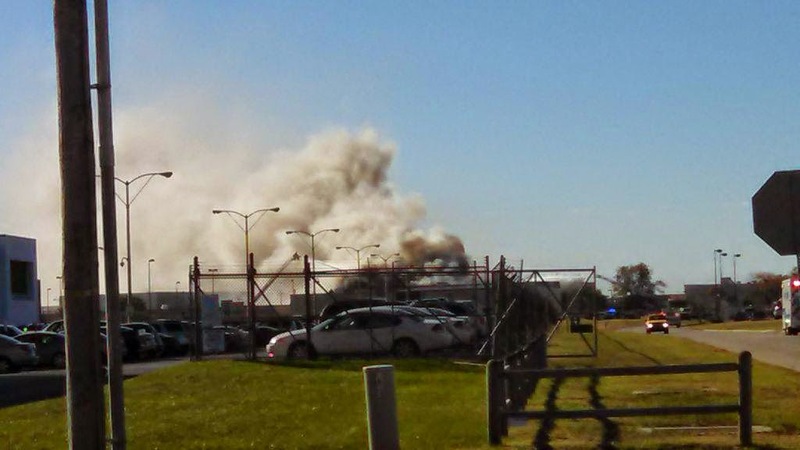 Another witness observed the airplane in its final seconds before it impacted the FSI building. He said the airplane was on a heading of 240 degrees and was in a "gradual" descending left turn. He thought the airplane was going to land on the west runway, but then it collided with the northeast corner of the FSI building. The witness said the landing gear were extended and both propellers were rotating, but he could not determine at what power setting. He said the airplane's left engine struck the building first just below the roof line, followed by the outboard section of the left wing. When the wing impacted the building it separated and the airplane rolled to about 70 degrees bank angle. 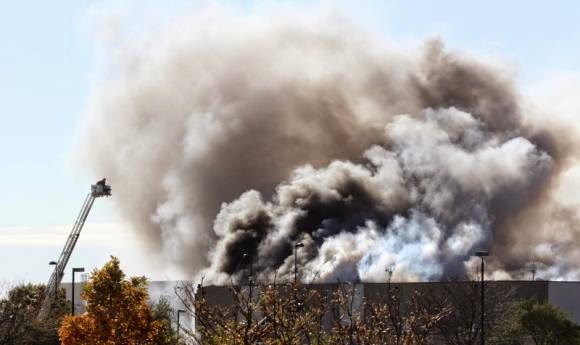 The nose of the airplane struck the roof of the building and the airplane slid for about 20-30 feet before the tail section came over the top of the airplane followed by a large explosion. A postimpact fire ensued. Surveillance video from the surrounding buildings was obtained and will be reviewed. The airplane was equipped with a Fairchild Model A100S cockpit voice recorder (CVR). The unit was removed from the wreckage and sent to the National Transportation Safety Board (NTSB) Vehicle Recorder Laboratory for download. The airplane was equipped with two Sandel ST3400 Terrain Awareness and Warning System / Radio Magnetic Indicator (TAWS/RMI) units. 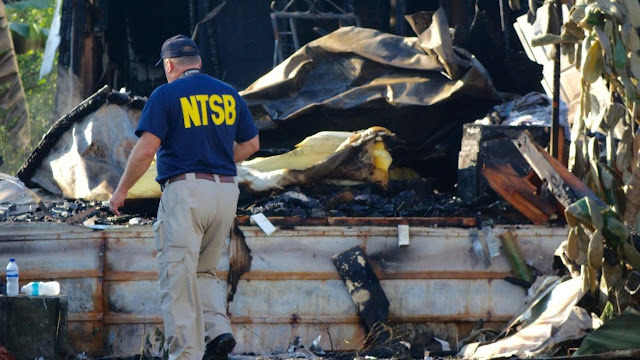 These units were retained by the NTSB and will be examined for recorded flight data. At 0953, the automated weather observation at KICT reported wind from 350 degrees and 16 knots, 10 miles of visibility, a few clouds at 15,000 feet, temperature 59° Fahrenheit (F), dew point 37° F, and altimeter setting 30.12 inches of mercury. The wreckage has been retained for further examination.